The steppe wolf was classified as gray wolf subspecies Canis lupus campestris in 1804 by Russian scientist Ivan Dwigubski. It is also known as the Caspian Sea wolf and the Caucasian wolf. Most taxonomists recognize the Canis lupus campestris, Canis lupus bactrianus, Canis lupus cubanensis, and the Canis lupus desertorum as being one and the same subspecies. The steppe wolf is commonly mistaken as being Canis lupus chanco which is the Tibetan wolf or Mongolian wolf. The historic range of the steppe wolf is in the countries surrounding the Caspian Sea and Black Sea. Today, it exists only in a remote area in the extreme south-western portion of Russia that borders the northern half of the Caspian Sea. Steppe wolves usually come in desert colors to blend into their surroundings. They are not white as are many more northerly Siberian wolves. 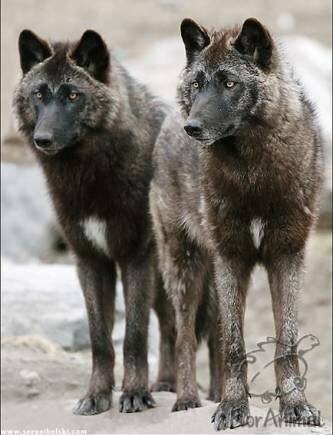 Caspian sea wolves usually weigh up to 88 pounds, having short coats that display shades of gray with rust or brown and black hairs over their back with a poorly furred tail. They eat almost every animal they can catch. 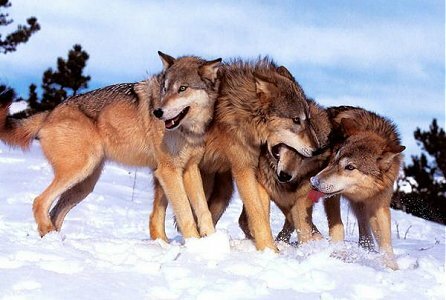 Wolves usually hunt in packs, but the steppe wolf will hunt on its own when food (especially large prey) is scarce. The steppe wolf usually feeds on herd animals, rodents, and fish. When food is scarce, it may also eat berries and other fruits. Though they usually eat almost every animal they can catch, both packs and lone steppe wolves have been known to occasionally kill more than they are capable of feeding on, especially Caspian seals. They are also liable to hunt domestic animals of nomadic families at any time day or night. They hunt when they are hungry but if they are not successful they can go without food for several weeks. 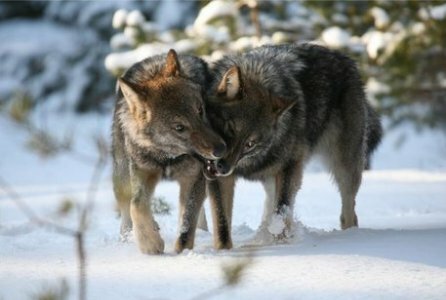 Like most other wolves, mating is usually between the dominant pair of the pack. Breeding usually occurs between January and April. After about 63 days, the mother will give birth to 4 to 7 pups which the entire pack usually takes part in raising. The Canis lupus campestris has been hunted as a nuisance for years. It is listed as endangered in the Mongolian Red List of Mamals (2007), and can now only be found in a far south-western part of Russia along the Caspian Sea.